Happy Friday all! 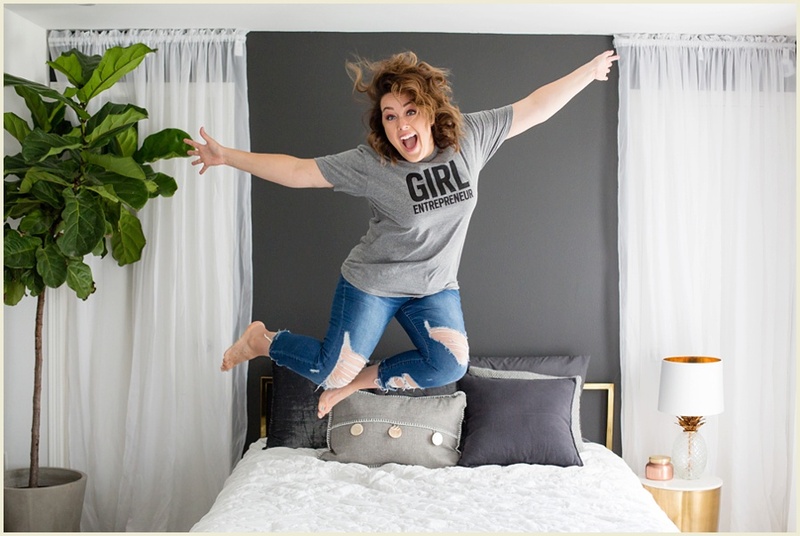 This post is part 6 in my weekly "girl boss" series (view the others HERE!) and this week is dedicated to the incredible Stephanie from Stephanie Marie Photography! 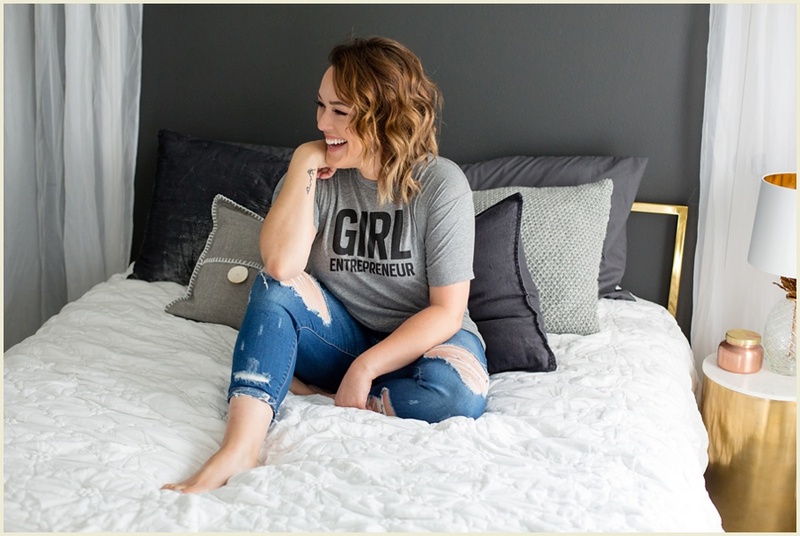 This girl is crushing the boudoir game in Iowa City (she also does wedding photography and headshots - mine included and she always makes me look darn good! ), so if you're in the market for some stunning photos of yourself - Check. Her. Out. I've known Steph for about 5 years, and am constantly impressed by her talent and her incredible ability to build women up and make them feel like the goddesses they are! She is well traveled, a great mom, and her photography always makes my jaw drop. I admire her fearlessness in business, and her realness in friendship and life. I can't wait to see her in 5 years when all of her goals she listed below have come true! You can visit her at www.stephaniemarie.com and www.stephaniemarieboudoir.com and links to her social media can be found on both sites. Also, thank you to Elizabeth from Girl Wonderful who sent me some shirts after I bought two for myself and was inspired to do this project. 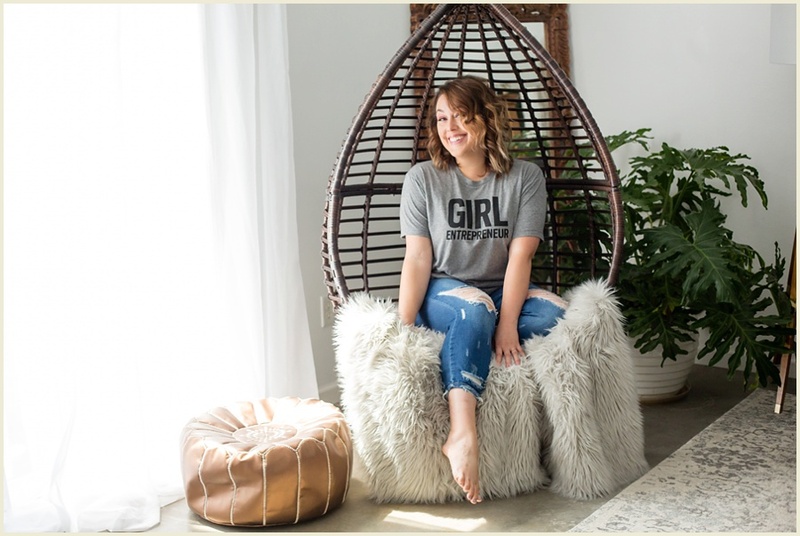 Please, check her out - I love what she stands for and her tees would make a great gift for yourself or any awesome girl you know! Tell me about your business, how did you begin? I lived in Japan and Hawaii from 2005-2011 and during that time I became a Master scuba diver. I bought an underwater camera and would take photos underwater, so when I moved back to the U.S., I dreamed of buying a professional camera and becoming a photographer above water. A few months after I moved home to Iowa City, and with the support of my husband (then boyfriend) and my family, I bought my first pro camera and the rest is history! I'm now a full-time wedding and boudoir photographer and photograph about 15-20 weddings per year and an average of 12 boudoir sessions per month. I could write a novel! 1. No matter what decision you’re faced with; almost always go with your gut. If you’re still in doubt, get your closest friends/family on the phone or have a wine night and bounce ideas off of them. 2. Working SMARTER is better than working HARDER. Always follow your passion and cut back on what you don’t love doing. 3. Make sure you never compare what you do with other people in the same field – especially price-wise. What decisions have you made that you feel have gotten you to where you are with your business right now? Transforming a large part of my home into a studio was a game-changer for me. It allows me to have my own unique space to photograph boudoir, families, brand experiences, and lifestyle beauty sessions. It’s also a great place to meet my future brides and grooms for a drink and to discuss their wedding. What are some challenges you've faced along the way? 1. Hiring a great business lawyer. 2. Hiring an amazing tax advisor and accountant. Tips for balancing career and family/personal life? When I first started my business, I felt that if I wasn’t investing all of my time into it, I wouldn’t succeed. But making sure you set boundaries is SO important. Last year (after 6 years!!) I finally set office hours – this alone has allowed me to walk away from work at a certain time to relax with my hubby, daughter, and to snuggle my three ginormous dogs. You should run your business, your business shouldn't run you. What as been the most rewarding part of owning/running your own business? It’s a great feeling to know I’ve built something from nothing. But besides that, the people I meet through my business are definitely the most rewarding. I’ve built some amazing friendships because of photography and traveled to some really beautiful places. I plan on having studio locations in 1-2 more cities and in a few years I’d like to build a new home and design the studio of my dreams. That, plus continuing to travel a few times a year to check locations off my VERY large bucket list.